David Swartling, the Rev. 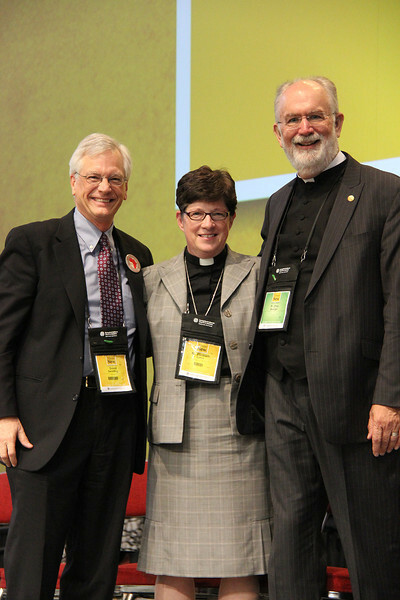 Elizabeth A. Eaton, bishop-elect, and the Rev. Wm. Chris Boerger, secretary-elect, pause for a photo.